The Phoenix HD 4-wheel travel scooter combines a 350 lb. weight capacity with the take-apart portability of a travel scooter. 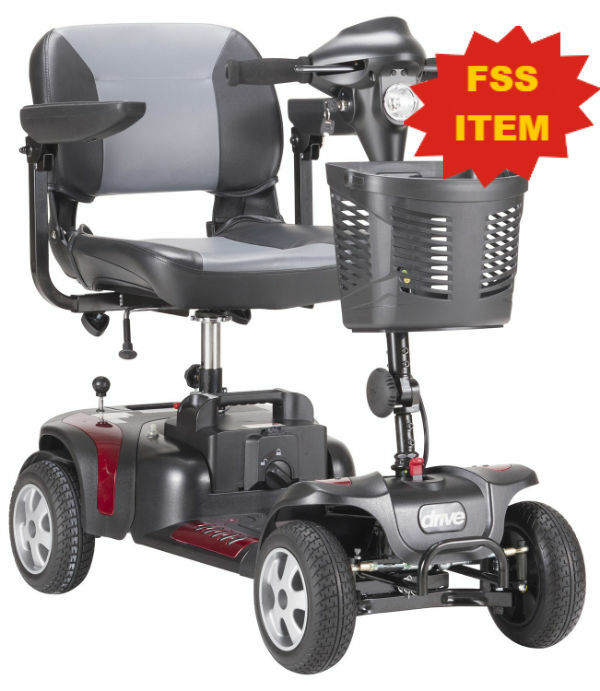 The four wheel design and anti-tip wheels assist with overall stability for a more secure experience. 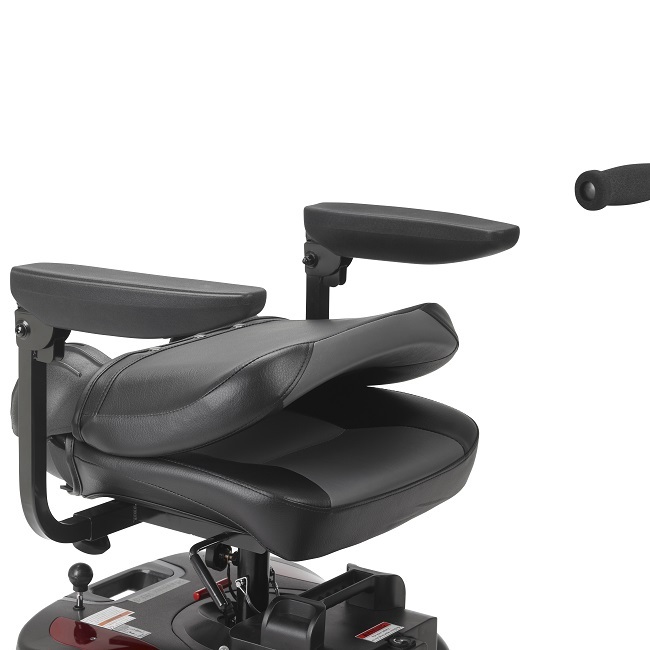 This scooter also has a height adjustable seat with flip back, adjustable width arms to accommodate varying body types. 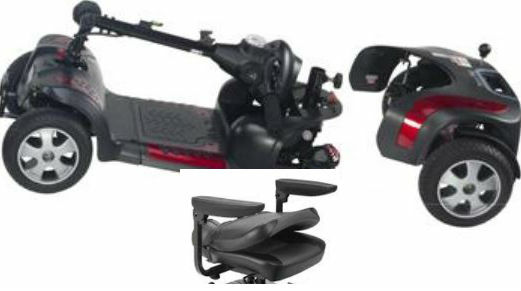 The seat also helps with portability by folding flat and allowing for easier transporting or storage. Your Phoenix HD 4 wheel scooter can easily and quickly disassemble into four pieces, with the heaviest section weighing only 46 lbs. 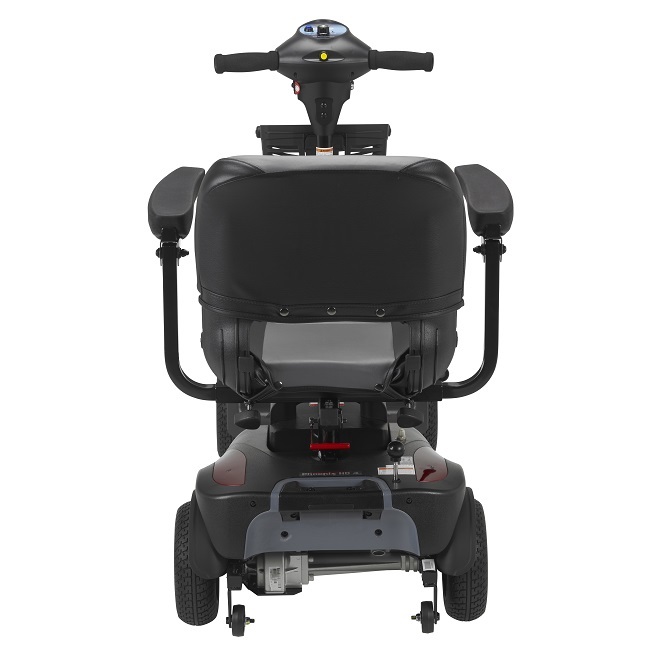 The Phoenix HD 4 wheel has been ergonomically designed to help you find the perfect positioning from which to operate your scooter. The seat is height adjustable to ease any unnecessary stress on your knees and legs. The seat also swivels and can lock its position in 45 degree increments. The adjustable angle tiller has an automatic straightening feature, helping you to position yourself comfortably into your favorite driving position. 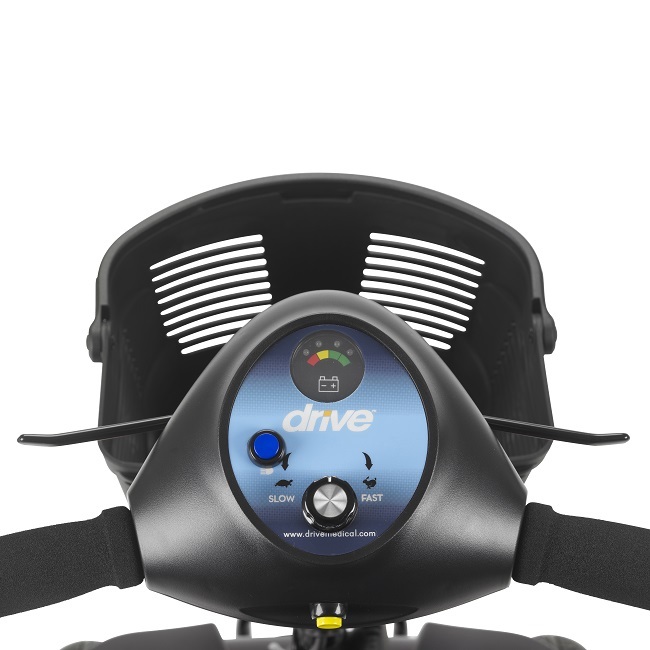 The controls are also designed to assist those with strength or dexterity problems by providing an ergonomic throttle that can be controlled using just one finger.